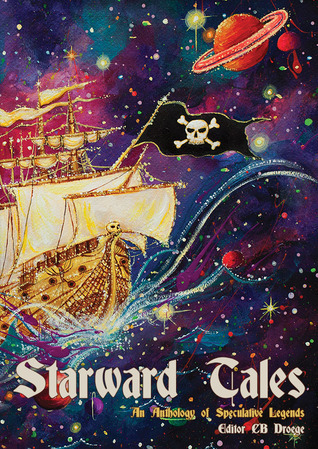 From now until September 28, 2016, you can enter to win one of three copies of STARWARD TALES, a collection of short stories, poems, and visual art retelling legends, myths, and fairy tales as science fiction. This collection, published last month, features my story "As Dust Rolls Toward the Mountain," a Cassandra retelling set in the Colorado mountains as an asteroid hits the Earth. Other contributors include Danielle Airola, Francis W. Alexander, Patrick Baker, Lana Bella, Kimberly Y. Choi, Rachel Cohen, Jennie deBie, CB Droege, Josh Gaines, Ashleigh Gauch, Bob Hilger, Andrew J Lucas, JBMulligan, John Reinhart, Nick Romeo, Monica Rose Song, Marcelle Thiébaux. I set up this giveaway, so I'll scribble a little autograph next to my story. If you don't win (or you don't do Goodreads), the book is available on Amazon for $9.99 in paperback or only $2.99 in ebook (or free if you're on Kindle Unlimited). Many thanks to everyone who has ever taken the time to read any of my stories. If you enjoyed any of them, leave a little note on Amazon or Goodreads so others might be able to find them, too.